On September 6, 2009, the Bulgarian lottery drew the winning numbers, 4-15-23-24-35-43, to the delight of winners. However, four days later, on September 10, the same exact numbers were drawn. 18 people guessed all six numbers, but many lottery players were unhappy. Why? They thought the Bulgarian lottery was rigged. 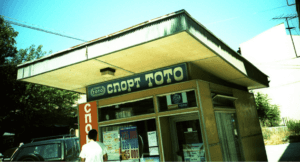 Lottery players weren’t the only ones concerned about possible illegal activities—even the Bulgarian authorities were skeptical of the draw’s legitimacy. So, they launched an investigation in the hopes of unearthing the truth. Their findings? Exactly what the lottery organizers have been saying all along: it was nothing more than a freak coincidence. It’s an understandable concern though. Any time the same exact numbers are drawn, it’s easy to wonder whether someone is pulling the strings behind the scenes. Is there an accomplice just waiting to cash in multiple times? 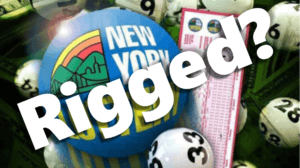 While there have been cases of rigged lottery games, repeat winning numbers don’t necessarily mean shenanigans are afoot. [h2 display=”Same Numbers, Same Day” menu=”Same Numbers, Same Day”] On the same year, the New York State Lottery experienced something bizarre—the same winning numbers were drawn on the same day! For those who bet on the 8-0-5-6 winning numbers, a $5,000 prize was waiting for them. It also meant that for those who bet on both draws using the same numbers, winners came home $10,000 richer that day. But, could the results have been fixed? No—it wasn’t rigged. The numbers were drawn by two separate machines using two different sets of balls. [h2 display=”Same Winning Numbers are Not Unheard Of” menu=”Not Unheard Of”] According to Stephen Allensworth, former lotto columnist at the Daily News, it’s not unheard of; drawing the same numbers happen more frequently than what the odds suggest. On January 14, 2009, for example, the numbers drawn for the midday drawing of the New York State Lottery was 4824, while the numbers for the evening draw was 8424. On August 2008, meanwhile, the numbers for the midday drawing was 2521, while the numbers for the evening draw was 2512. As for the 8-0-5-6 winning numbers, it was also drawn on March 11, 2004 and way back in the first of December in 1989. [h2 display=”The Bottom Line” menu=”The Bottom Line”] It’s easy to think that, whenever something incredibly unlikely occurs in a lottery—such as the same winning numbers being drawn twice—there’s something shady going on behind the scenes. Some measure of cynicism is to be expected, especially since the industry has its fair share of scams and/or troublemakers. That said, it doesn’t mean that momentous events like these are impossible. It’s unlikey, yes—but not out of the realm of possibility. With how many lottery draws there are in a given year, some winning numbers are just bound to be drawn twice. And hey, this is good news if you’re the type who loves to play the same numbers for every draw!